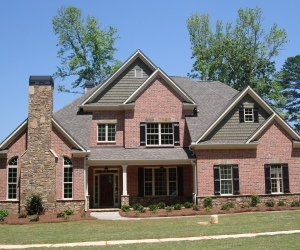 homes in metro Atlanta will soon have another option now that Traton Homes has announced that it will introduce a variety of new home designs at Leisure Ridge. Located in Dunwoody near many of Atlanta’s top dining, shopping, schools and recreation, Leisure Ridge will offer both two-story and master-on-the-main plans priced from the low $500,000s. Buyers who are looking for an intimate community will love Leisure Ridge. An enclave of only 20 home sites, the community will boast an elegant streetscape with homes adorned with four-sides brick, cedar shake and/or stone and architectural roof shingles, as well as three-car garages with carriage-style doors and sodded lawns. Inside these fabulous Traton homes you’ll find phenomenal features and finishes including stainless steel appliances, granite countertops, hardwood floors, 9- or 10-foot ceilings, media rooms, luxurious owner’s suites with trey ceilings, large tiled showers and oil-rubbed bronze fixtures per plan. Plus, children have the advantage of attending Kingsley Elementary, Peachtree Middle and Dunwoody High schools. Or, if you’d prefer, enroll your children in one of the many excellent nearby private schools.